This entry was posted in DIY, In the Kitchen. Bookmark the permalink. I have a jar of red vinegar that I’ve had good success with, from a starter that I got at the home brew store. I also tried the white wine vinegar, and it didn’t do anything. I’d love to know more of exactly how you made your own mothers. 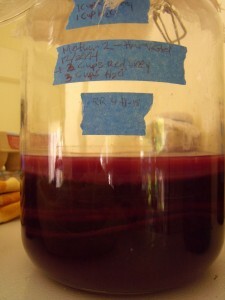 Technically, white and red wine vinegars require different types of mothers (i.e. you can’t make good white wine vinegar by adding white wine to a mother that has been making red wine vinegar). Maybe this was the issue when you tried? 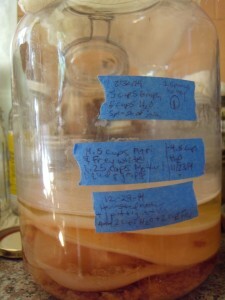 I made my vinegar mothers using recipes that I made up and that are outlined in this post: http://www.overallgardener.com/home-grown-vinegar/. The recipes I note that had made vinegar, but not yet mothers, when I wrote the post all eventually grew mothers as well. I used Flame grapes to grow my first mothers. This is a table grape–not strictly a red or white wine grape. I figured this gave me leeway to use the resulting mothers with both red and white wines. The red wine vinegars have been more reliable, but I have succeeded in producing white wine vinegars as well. I have the most success with the white wine vinegar when I include not only a chunk of vinegar mother, but also some of the ordinal grape mash, in the jar. My best guess is that the white wine needs a little extra acetobacteria to get it going, given its high sulfite levels. How to care for the mother so it dont mold ? 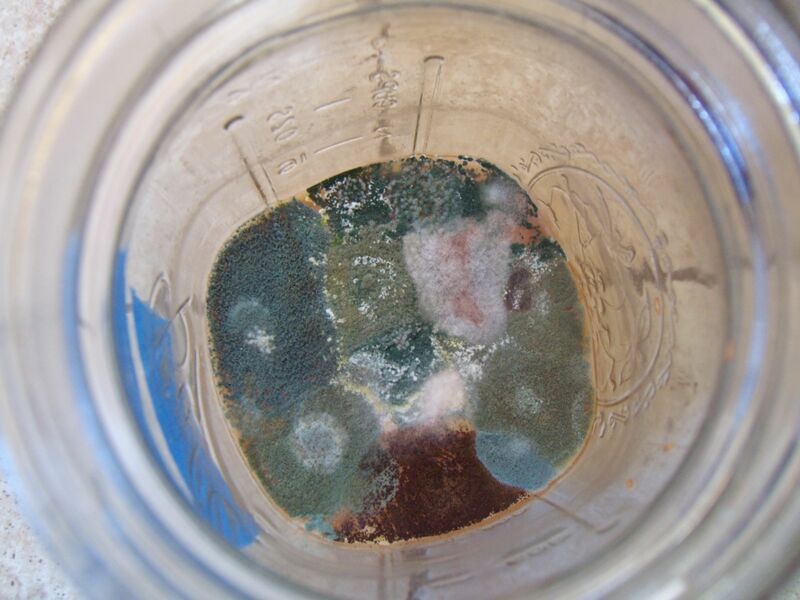 By the way am making my own vinegar and i fohnd white worms in it so i clean the jar and strained the vinegar and tgen back to jar … why do u think i have these white worms? 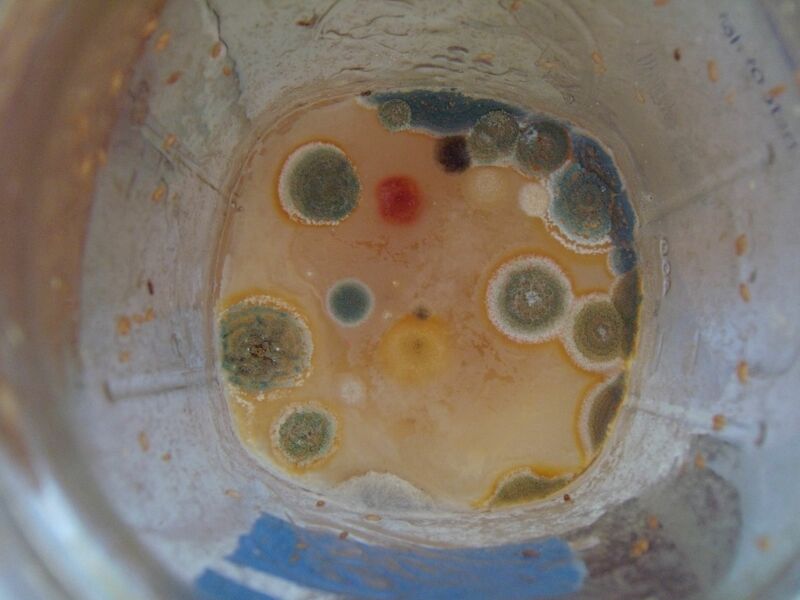 In our experience, mothers grow mold when the vinegar sits for too long. Like, months too long. Perhaps in very hot climates you need to take additional precautions, but we haven’t had trouble here so long as we make sure to harvest vinegar every few months and add new wine and water. Regarding the worms, they may be fruit flies propagating. If so, they will not harm the vinegar and can actually help the process along.